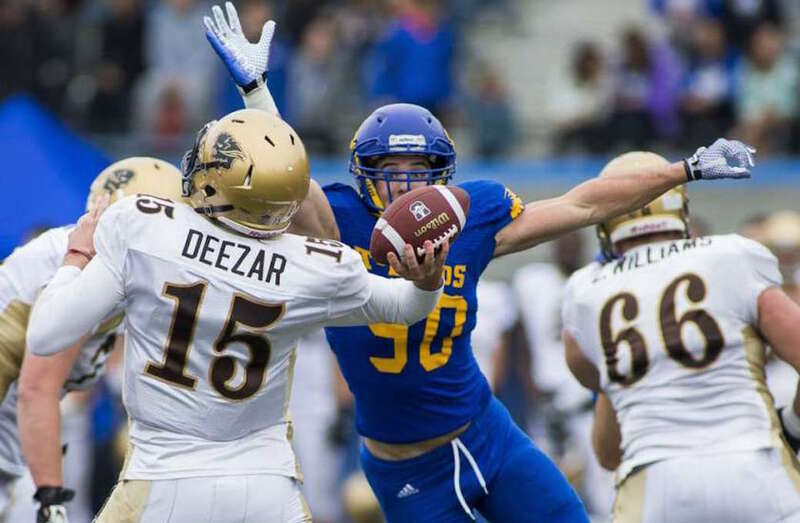 Calgary quarterback Adam Sinagra, Laval defensive tackle Vincent Desjardins and Ottawa defensive back Jackson Bennett are U SPORTS Football Players of the Week, for the period ending September 3, 2017. 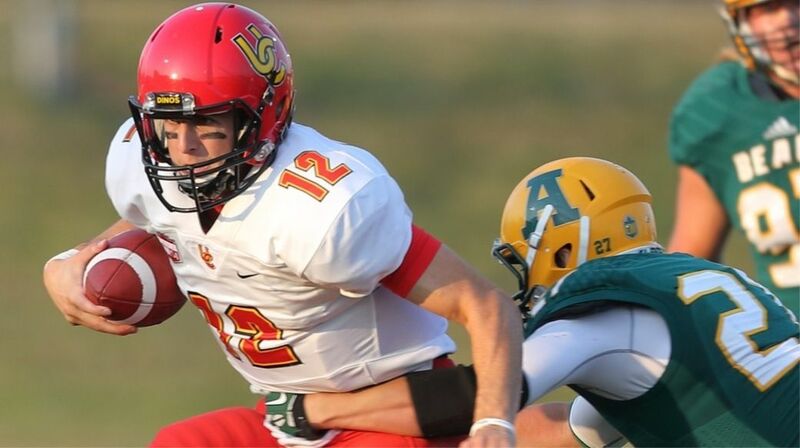 Third-year pivot Adam Sinagra led the defending Hardy Cup champion and Vanier Cup finalist Calgary Dinos to a convincing Week 1 road win over the Alberta Golden Bears, as the Pointe-Claire, Que. product tossed 426 yards in Calgary’s 55-26 win. Sinagra, who took over the No. 1 job last year when starter Jimmy Underdahl went down with injury, became the first Calgary quarterback to post a 400-yard passing game since October 31, 2015 when Andrew Buckley threw for 463 yards in the Dinos 64-28 win over Alberta. Along with his 426 passing yards, Sinagra went 27-for-33, tossing four touchdown passes without a single interception. Defensive tackle Vincent Desjardins posted a strong showing at McGill with 3.5 tackles including 2.5 for loss. He also shared a sack with this teammate Adam Auclair. His biggest play came late in the first half when he forced a fumble and recovered it before returning it 19 yards near the Redmen goal line. The ensuing touchdown moments later helped Laval put the game out of reach. For the second week in a row, an Ottawa Gee-Gees player takes home the Special Teams Player of the Week. Following on the heels of teammate Lewis Ward, who went 6 of 8 to win the award the previous week, Jackson Bennett is this week's winner. The Cumberland, Ont., native only had one kick return the entire game, but that single return was a game-changing play. Following a Nick Liberatore field goal that increased Queen's lead to 13-7 with 1:59 left in the game, Bennett awaited just outside the Gee-Gees endzone. The following kickoff produced one of the great early highlights of the OUA football season, as Bennett's elite speed was on full display. The geography major went 99 yards to the house for the game-winning touchdown, giving Ottawa a one point victory over Queens' to improve to 2-0 on the season.